Chinese President Xi Jinping on Thursday lambasted “protectionism, isolationism and populism” and again vowed to open up Asia’s largest economy, as Beijing faces an escalating trade dispute with the United States. The leaders of mining giant BHP Billiton, German carmaker Volkswagen and British conglomerate Swire were seen at the meeting according to images from Chinese state television. Trade relations between Beijing and Washington risk descending into all-out conflict, with US President Donald Trump having threatened to impose tariffs on almost all of Chinese exports to the United States. Without mentioning the Trump administration, the Chinese president condemned “Cold War mentalities and zero sum games” where exporting countries are seen as the only winners of trade exchanges. 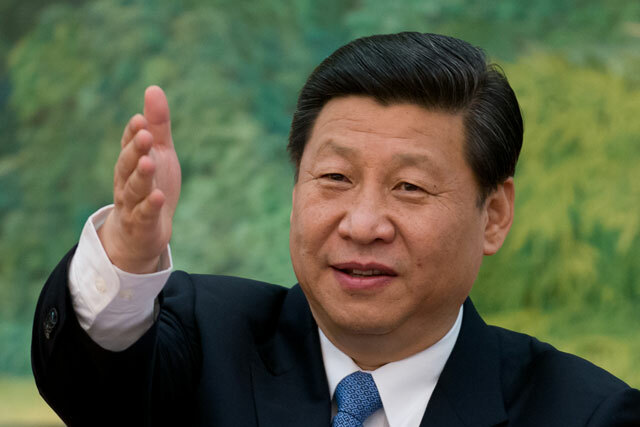 “The peace and development of the world faces more and more severe challenges,” Xi cautioned. China’s head of state also reiterated his promises of economic openness made in April at the Boao Forum for Asia, the “Chinese Davos”, where he promised to accelerate the opening up of the Chinese financial sector. In spite of Beijing’s conciliatory tone, Western companies complain about unfulfilled pledges and a tough business climate in the country due to factors such as internet censorship and unfavourable regulations. In a survey released Wednesday by the European Union Chamber of Commerce in China, nearly half of European firms said it had become “more difficult” to do business in the past 12 months. And a fifth said they have been victims of forced technology transfers, a practice denounced fiercely by Washington as it carries out a probe on the issue while threatening tariffs in retaliation.